CleanTechnica is a somewhat narrowly focused news & analysis site. We primarily cover technology that helps to reduce pollution (cleantech). It should surprise no one to read that one of the biggest companies in this niche field is Tesla. Tesla now produces far more electric cars on a weekly basis than any other automaker outside of China. It produces and installs solar panels. It produces both home-scale and gigantic battery storage units. And it will soon produce electric semi trucks. As such, I’d say it is unsurprising that a large portion of our stories concern Tesla in some way or another. Readers sometimes complain about how much we cover Tesla, Tesla stock, and Elon Musk’s tweets, but mainstream media outlets cover Tesla far more than we do, and they cover other cleantech topics far less than we do. Overall, I’d say our balance of Tesla vs. other cleantech stories is counterproductive to accumulating pageviews (which is clearly not our sole aim) and limits our ability to contribute to important discussions about the most famous cleantech company on the planet. Unfortunately, as Tesla has grown, horrible coverage of Tesla in the mainstream media has grown at a similar pace. So fed up with it, some members of our community decided to start a kind of rating system for Tesla articles. We have been in the process of developing the system over the past week or two. Just as a taster — well, to start testing our rating system — I decided to look through CNBC’s Tesla articles published in the past two days. The results were shocking. From the time I started writing this article, 40 stories concerning Tesla had been published on CNBC in the previous 48 hours. A whopping 31 of those 40 headlines were clearly negative about Tesla. Only 2 were positive. The remaining 7 were neutral or too hard to judge. That’s a little wild. The Tesla Model 3 has become one of the 10 best selling cars in the United States (and might even be #5 now). An American car company that is just 15 years old has created one of the most popular cars in the nation, and by far the most popular electric car. Furthermore, it is crushing the sales of class competitors. Tesla is selling more Model 3s than all of the BMW’s in the same class or nearby classes combined, and the same for Mercedes models, Audi models, Lexus models, etc. 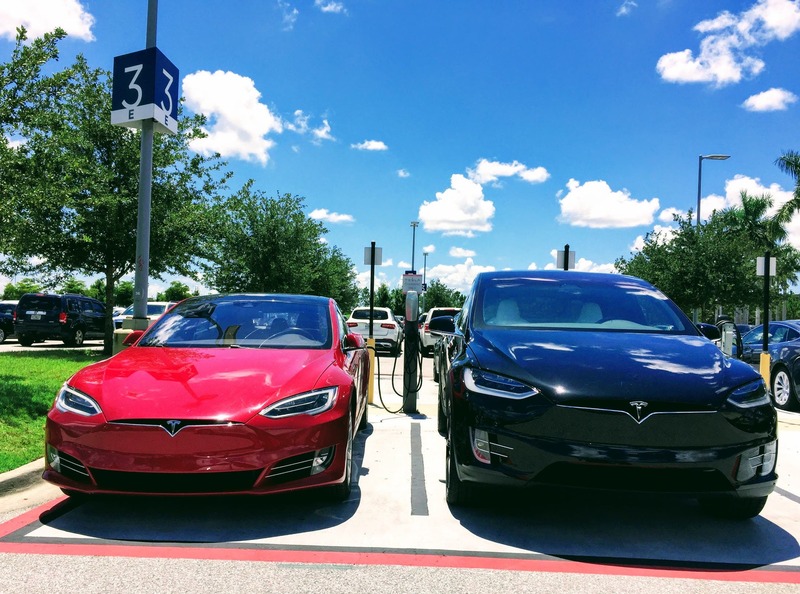 Tesla USA may actually outsell BMW USA in August. The Model 3, still available for no less than $49,000 and possibly selling at an average price of $59,000, is competing with cars much lower in price — the Toyota Camry, Toyota Corolla, Honda Accord, and Honda Civic, for example. There is no car in the top 10 at anywhere near the starting price of the Model 3, and Tesla has indicated that many buyers are turning in many of these lower-priced cars to get a Model 3. Furthermore, the company is on the verge of becoming profitable, according to CEO & Chairman Elon Musk, and the company forecast is that it will stay profitable indefinitely after this quarter. Reviews of the Model 3 are all over social media, car sites, and tech sites and are glowing in their enthusiasm and amazement. Rock stars are performing for free at Tesla’s factory in honor and support of Tesla’s factory workers. And Jay Leno is drooling over the next-generation Tesla Roadster, set to be the quickest & fastest production car in the world. Yet, CNBC can hardly squeeze out a positive word. What’s wrong? What’s going on? Why is CNBC so biased against an amazing success story about a new American car company that is so loved by consumers and auto reviewers? Why does almost every Tesla headline on CNBC have to include negative spin? If you’re wondering, perhaps email CNBC this story and ask for a response. Contact links are here and here, and there’s always Twitter and Facebook. By the way, if you’d like to help with our media evaluation project, drop a note in the comments. It’s a community effort.